DIVISION NEW YORK CITY USA. FOREIGN BENEFICIARIES WAS TRACED AND APPROVED SUCCESSFULLY. THE ADMINISTRATIVE PROTOCOLS AS WELL AS FRAUD PERPETRATION. 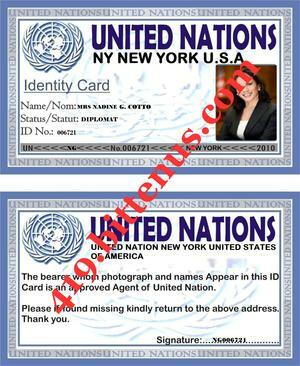 PERSONAL IDENTIFICATION OR PASSPORT ID. MILLION OF THE ATM CARD BEFORE IT HAS BEEN DELIVERED TO YOU. MILLION ATM CARD TO YOUR ADDRESS AS REVERSE PAYMENT IS RULED OUT. WHICH INVOLVES ONLY $89.00 (24HRS DELIVERY). IS AN OVERNIGHT / 24HRS DELIVERY. AFTER PAYING THE FEE, SEND THE FOLLOWING PAYMENT INFORMATION'S TO ME. RIGHT AWAY FOR IMMEDIATE COMPLETE YOUR DELIVERY.